Netanyahu: Rouhani is "a wolf in sheep's clothing" who would "smile and build a bomb". Prime Minister Binyamin Netanyahu on Wednesday urged greater pressure on Iran over its nuclear program as he met Japan's Foreign Minister Fumio Kishida in Jerusalem. "I think we need to increase the pressure on Iran. Only by doing this will there be real changes in the attitude of that country," Netanyahu's office was quoted him as saying at the meeting. "Israel and Japan both face states that are developing dangerous nuclear weapons programs," he said in reference also to North Korea. Netanyahu on Sunday renewed his threat to take unilateral military action to halt Iran's atomic drive, disparagingly referring to new Iran president Hassan Rouhani as "a wolf in sheep's clothing" who would "smile and build a bomb". "We're closer than the United States. We're more vulnerable. And therefore, we'll have to address this question of how to stop Iran, perhaps before the United States does," Netanyahu told US television station CBS. "They're edging up to the red line. They haven't crossed it yet," the Israeli premier said, referring to the point at which Iran would be able to make its first nuclear weapon. 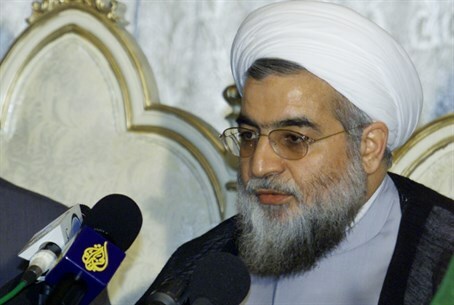 Rouhani brushed off the threats of military action, saying such warnings only made him "laugh," it was reported on Wednesday.